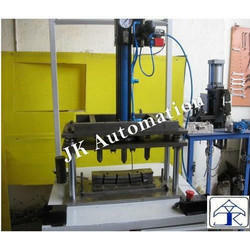 We are a leading OEM Manufacturer of fully automatic core transporter from Pune, India. This machine is suitable for foundry, core fill in the trolley lifting and transports at specified location with out any shake (impact) this will save the shape of core till casting. Lifting capacity is upto 5000 Kgs. These equipment is suitable for glass, eggs, ceramic pots, statues etc. Looking for Core Transporter ?